Breathing Room: Dead Like me. 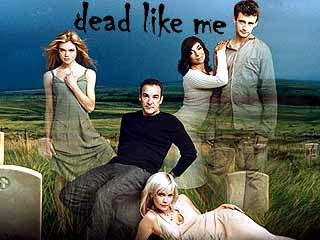 A great new show: Dead Like Me. It's a showtime series I think that we caught a couple of time on TV and then bought the first two seasons on DVD with a gift card. It's VERY good. Excellent fliming (to my undiscerning and unknowledgable eye...so maybe I should say "cool" filming), dry humor and just...good. Like it. Lots. Watched it. Lots. while I was sick. Posted by T. at 10:32 p.m.